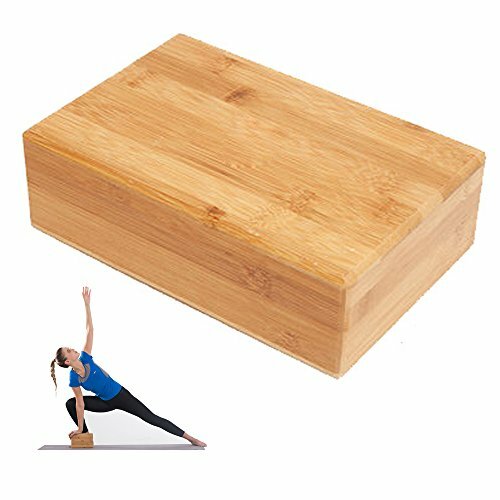 Yoga blocks are not just for beginner. Blocks can be used at any lever to achieve better flexibility, balance, comfort and stability. 1. For Flexibility - The Gymnastic blocks can help keep your balance, it will then allow you to become more flexible as well. This is helpful for people who are having a hard time performing some poses that require a flexible body such as the half moon pose. 2. To Provide Support - It can support your head and neck during lying positions or support your weight during sitting and standing positions. It can also help support various poses by allowing you to hold that poses longer and better. 3. For Balance - It can help maintain balance. This is particularly helpful during standing, squatting, and sitting positions, helping you find your center of gravity easier so you can maintain your balanced position longer. 4. For Longer and Comfortable Position - It can help you balance, become more flexible, and provide support for your weight it can therefore allow you to hold your poses for a longer time and stay comfortable in that position. - Non-slip, waterproof, non-toxic and eco-friendly bamboo. - Weight: 0.8KG,Lightweight & portable. - Use: indoors or outdoors (do not leave in sun/rain). - Daily cleaning: clean with clean, damp cloth. - Deep cleaning: organic cleaning fluid can be used for cleaning. - After cleaning, wipe out the water on surface with a dry cloth. - Do not expose to sunlight or rain for a long time. Package includes 1 pc yoga brick. Measuring 9 x 6 x 3 inch. Made of natural eco-friendly, high-density bamboo wood for long-lasting durability. No odor smell. Featuring circular arc edges for comfortable and safe griping! Lightweight and Non-slip even sweat.